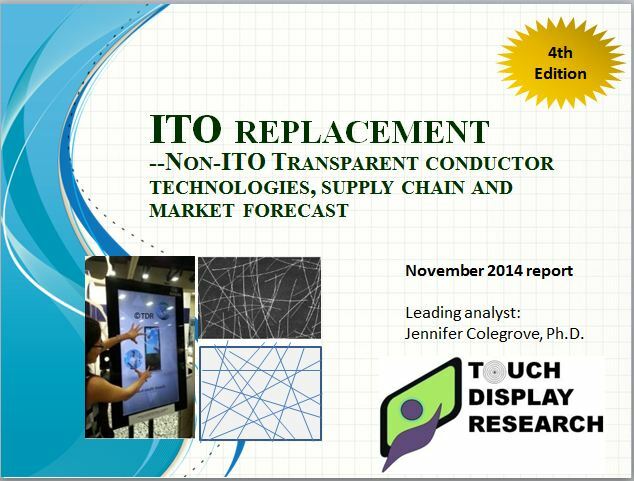 February 2015 - Touch Display Research, Inc. I just came back from the 2015 FLEX conference in Monterey California. There were about 600 attendees this year, a little more than last year. It was great to meet some of you in person. At 2015 FLEX conference, Professor HK Chung from Sungkyunkwan University in Korea gave a keynote presentation titled “Plastic Revolution”. Photo by: Jennifer Colegrove, Feb 2015. 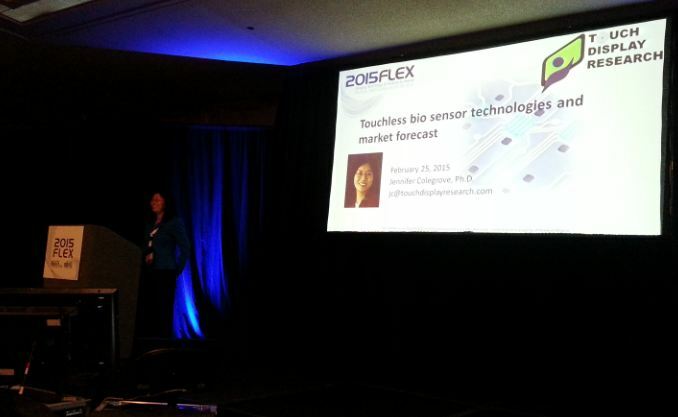 At 2015 FLEX conference, on behalf of Touch Display Research, I gave a presentation titled “Touchless bio sensor technologies and market forecast”. I discussed the market of gesture control, voice command, eye tracking, proximity touch and human motion sensors. Photo by: Ms. Stoeva, Brewer Science, Feb 2015. Sensors and wearables are hot topics at this year’s FLEX conference. More reviews can be found in the Touch and Emerging Display monthly report, February issue and March issue. 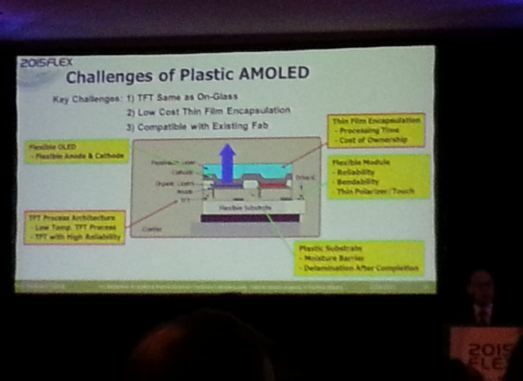 This entry was posted in AMOLED, Flexible curved display and tagged 2015 FLEX conference, flexible display, flexible OLED, gesture control, HK Chung, LCD, motion sensor, proximity touch, quantum dot, touch and emerging display, touchless, voice control on February 27, 2015 by jennycolegrove. On February 4th, 2015, Atmel announced it decided to exit the XSense (Metal mesh type ITO-replacement) business. It’s sad to see Atmel closing the Xsense fab in Colorado. I actually toured the XSense cleanroom in Colorado fab in November 2013. Source: Touch Display Research, November 2014. This report profiles over 220 companies and research institutes working on advanced transparent conductive (TC) materials and provides a detailed analysis of metal mesh, carbon nano tube (CNT), conductive polymer, silver nanowire, graphene, and other technologies. This entry was posted in ITO replacement, Touch screens and tagged Atmel, ITO Replacement, metal mesh, transparent conductor, XSense on February 9, 2015 by jennycolegrove.